Hey summer tiresome people, had a long summer? Now craving for winter? Just like me, summer is just another Pakistani thing. So mostly our concentration is directed towards summer varieties but as winter is not so far and spring is already prevailing the sky. So what if we start moving towards winter stuff like food, clothing & other winter staff. Lets pack for the winter by looking the latest fashion wears as it’s been a long time with summer design we all want something different. Winter is the season where we mostly prefer to buy dresses by which we can get properly covered as well as look sophisticated too. Today we are sharing the Latest Women Best Winter Dresses Designs Collection 2018 by Famous Pakistani Brands. Chinyere being a famous collection of all the time has been fascinating us every season either winter or summer, spring or mid breeze. 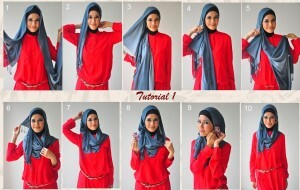 Not only seasons but the collection has no limits for occasions too like eid, party, casual wears etc. Chinyere does not only serves for men but a number of its collections have been launched for women till now. Similarly, this summer Chinyere launched its stunning collection consisting of various designs like every year. How come it will not be doing the favour to winter. This winter chinyere is providing us with something different. We all are well aware of the house of Alkaram. 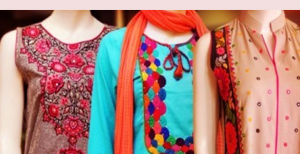 This fashion house has the variety of various things including clothing, bedsheets etc. 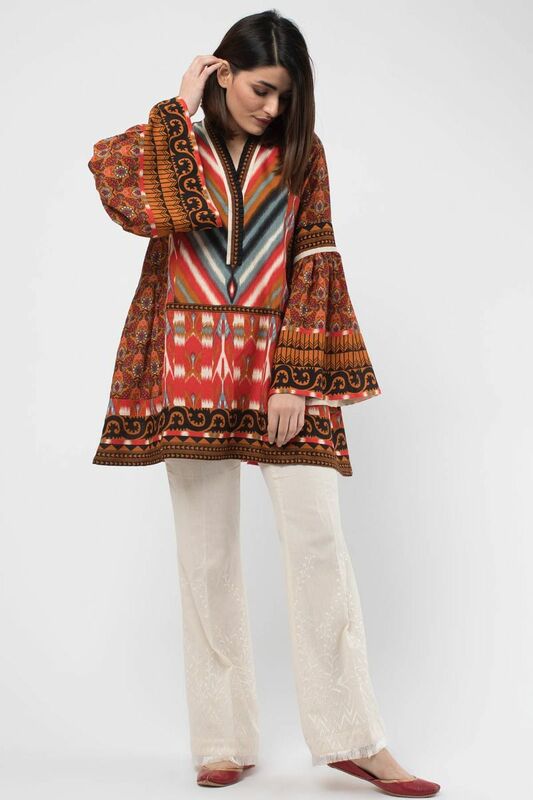 Is specifically we talk about the women clothes than as in summer we bought a number of collections by Alkaram, probably we are going to do the same for winter just like last year when Al Karam launched its winter collection for women. Now after the successful response, this year Alkaram winter assortment has disclosed vol-3 collection. Al Karam textiles have presented 30 prints of unstitched format specially designed for new year parties for girls. 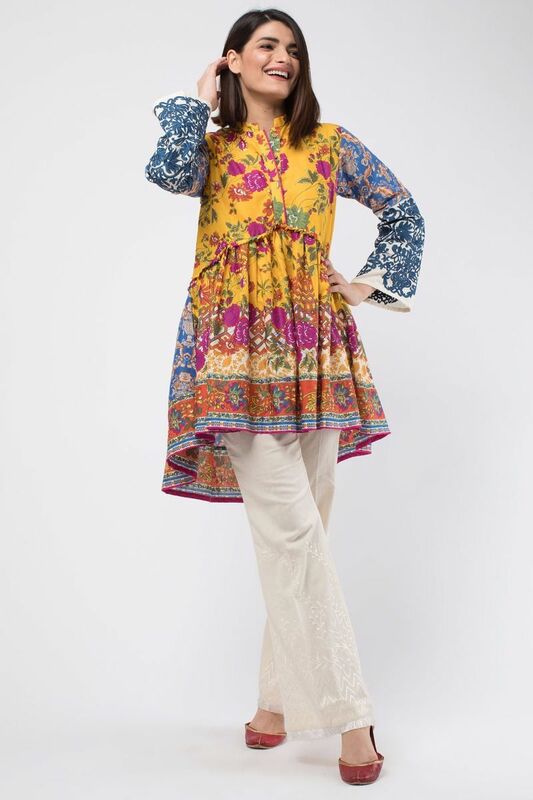 Once again long shirts and kurti fashion are introduced having a mixture of contemporary and classic prints with a little modification of bottom wear with stretchy trousers and palazzo. The brand has introduced the ideal combination of embroideries & various prints on linen and pashmina. The color scheme for this latest collection of winter has slightly bright and prominent where the dresses are the creative blend of regional style, modern embroidery and uniqueness. Beautiful and elegant just like the brand designer herself. After the success of the recent collections Maria. B is now launching its winter collections for women. Finally wait is over because this Pakistan’s no.1 brand has unveiled the latest winter collections. The outfits are stylish and are mostly best suitable for the evening outgoings such as candlelight dinners, parties, evening functions, bone fire etc. Sometimes designers are confused regarding people’s choice but Maria. B is the one who believes that only professionalists can do work and that is the reason why its collections are always highly demanded and loved by the customers. 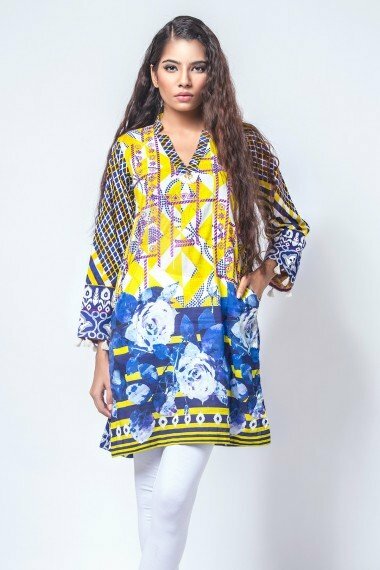 This new collection consists of both stitched and unstitched clothes with very reasonable prices that one cannot consider them so high or so low. In this modern age, every woman and girl wants to look stylish by wearing simple dresses, same way Maria.B has always designed just according to people’s choice. Though this winter collection generally specifies party wears, with the use of bright colours like black, maroon, purple, red, green just perfect for teenagers. Where on the other hand the collections for women is also available with soft and light colours elegant in their own i.e peach, pink, yellow, silver. It is to inform you all that these beautiful latest collections are now available at their outlets so what are you waiting for? Come one go hurry up and keep your dressing up to date. 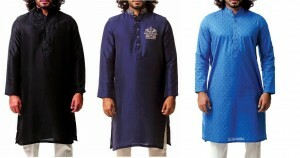 Khaadi is usually famous among us for its kurta awesome kurta collection.Khaadi has introduced the top khaadi formal wear collections. 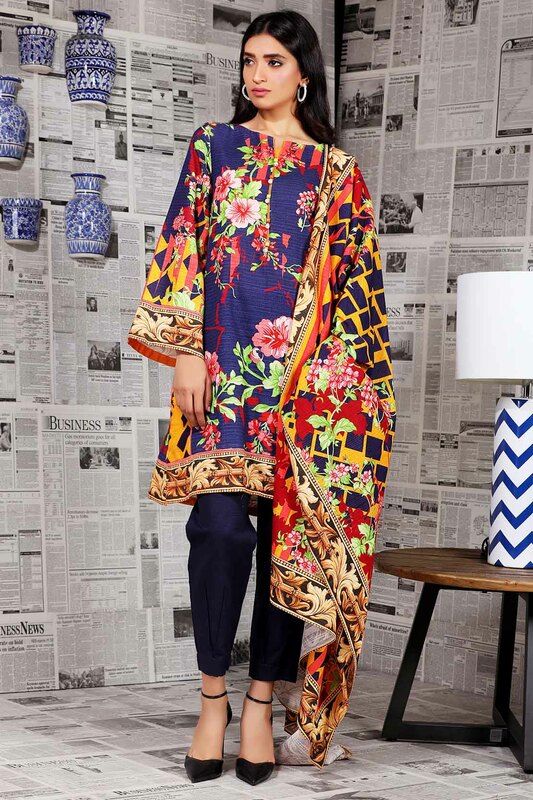 Previously Khaadi has been fascinating us with amazing summer kurta varieties and now winter varieties are revealed by the brand.In this collection latest design, technical cuts and patterns can be seen. The kurta collection can be worn with pyjama, pencil trouser press, churi, jeans and other garments. With the superb collection of A-line shirts, long shirts women of all ages are provided with the most fashionable touch in their looks. The dresses are formal and casual as well as best party wears are also now available. 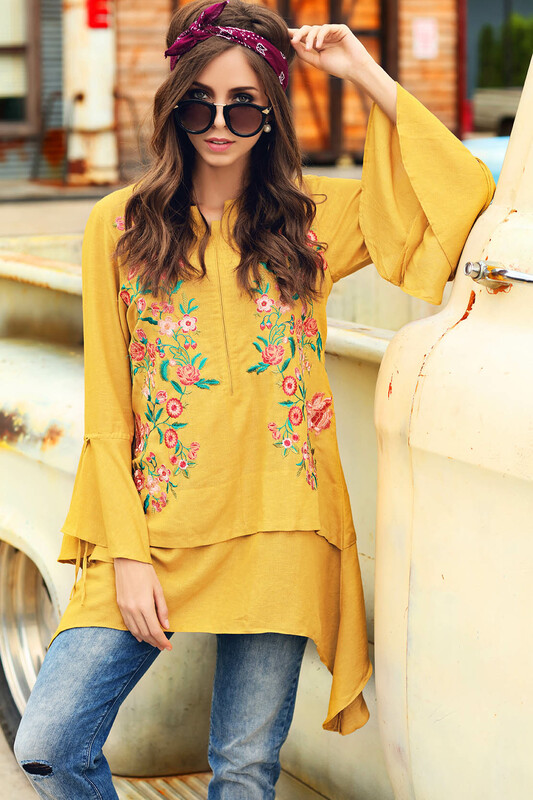 Warda, a well-known name in Pakistani fashion industry was first launched in 2006 and has been providing us with its most stunning collections by the years and seasons from then. After getting successful high demands Warda is now moving towards its launch in other countries of Asia i.e in India and UAE. The brand has recently revealed the high-class panoramic embroidery for the last winter. 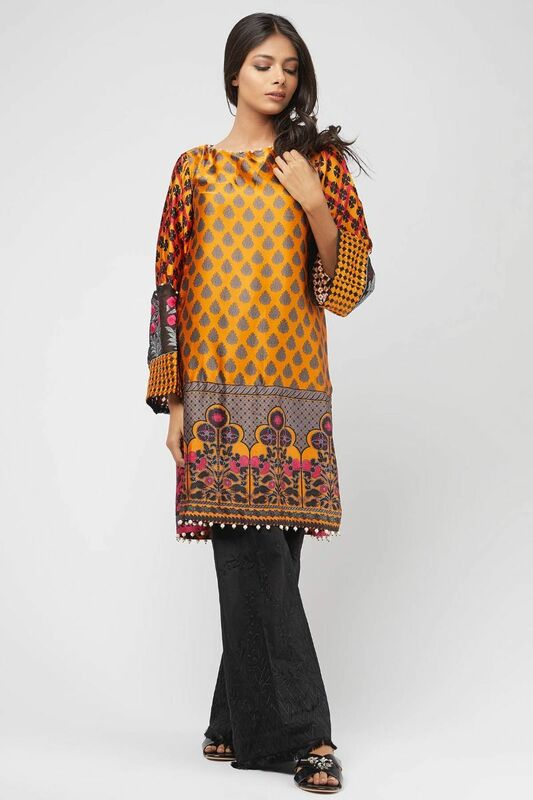 Warda prints fall-winter collection for this winter has also come with the fabulous chiffon and karandi prints. The collection consists of new styled stitched trendy long shirts with pajamas and trousers.The shirts being exclusively nourished with different prints and patterns seems to be best party wears. 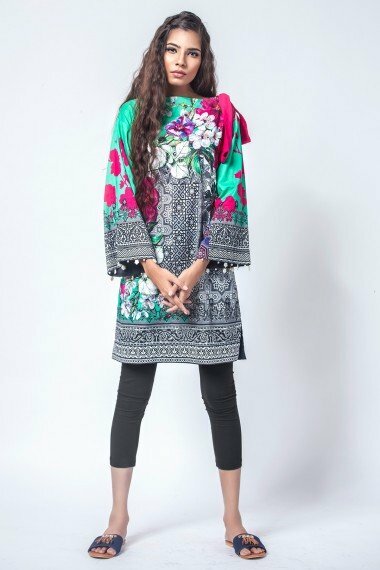 Warda is one of those names which offers premium fabrics at affordable prices.The chiffon, karandi, khaddar and silk collections for this winter are available in lovely bright colours and are best suited especially for the girls of young age. Here we go through some of the variety from this latest winter collection for the year 2018.